The Law Offices of Michelle M. Funkenbusch, LLC is a St. Louis trial law firm providing a broad range of legal services to clients in Missouri. Our firm is dedicated to offering high-quality counsel and representation in a flexible and responsive atmosphere. We believe in one on one contact with our clients and will never push you off to deal solely with a paralegal. We operate a full-service firm committed to meeting the diverse needs of individuals and businesses. Michelle M. Funkenbusch is a trial lawyer specializing in catastrophic personal injury, automobile accidents, bicycle law, worker’s compensation, criminal law, discrimination, and business disputes since 1999. Because of our community/neighborhood based practice, we handle a number of other areas of law for our long standing clients. For example, we often assist our clients in general law practice areas such as DUI’s, wills, traffic, and business formations. Give us a call and let us know if you need our help. At The Law Offices of Michelle M. Funkenbusch, we have devoted ourselves to help injured persons and their families in the Eastern part of Missouri. We are well experienced in handling all personal injury matters from a minor injury to a wrongful death. Funkenbusch has handled cases involving the death of 8 people from a reckless trucker to the minor rear end collision by the little old lady who couldn’t see over the steering wheel. Our experience in and out of court has established The Law Offices of Michelle M. Funkenbusch as one of the preeminent law firms in St. Louis. We are proud to help our clients and provide the best legal representation and service available. Our clients feel confidence in our representation. The Law Offices of Michelle M. Funkenbusch has a reputation of winning. Our first goal is to make sure that our clients recover from their injuries and financial losses. It is important to us that when we settle a case, the client has returned to how they were before the an accident. 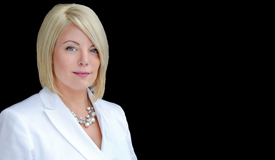 Since 1996, Michelle has been involved in multi-million dollar lawsuits and is ready to assist you with her expertise. We understand the insurance companies because Michelle worked defending them early in her career. She knows how they set their reserves on cases, how lawyers report the value of claims to insurance adjusters who make decisions, and what makes them want to pay money. She knows how to get the most out of every case because she handled 1000’s of cases and saw hundreds of lawyers at work. Using our experience, we are able to fight and recover the value of your case. The value depends on factors such as, how did the injury occur, what is the extent of your injuries, what treatment is necessary to resolve the injury, do you have wage loss, and the most important, what are your life changes. An injury will drastically alter one’s life. The Law Offices of Michelle M. Funkenbusch has the strength and experience to recover for this life change and the change in the relationship with your family. Personal Injury, Intersectional Collisions, Rear-End Collisions, Worker’s Compensation, Wrongful Death, Product Liability, Negligence, Slip & Falls, Misdemeanors, DUI, Automobile Accidents, Tractor-Trailer Accidents, Bike Accidents, Railroad Crossing Collisions, Farm Accidents, and Business Disputes.